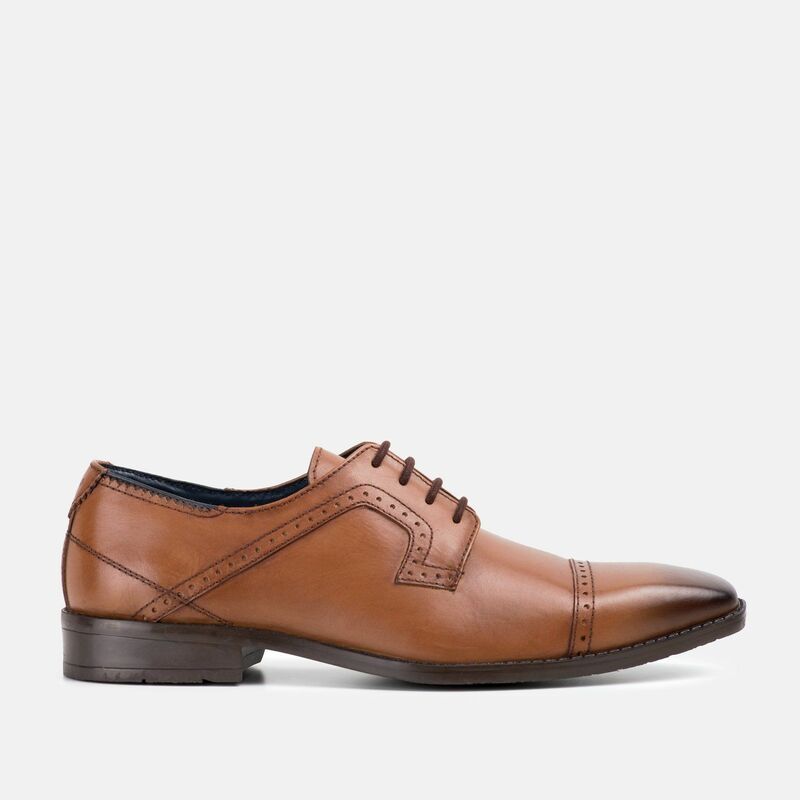 Victor is our smart derby shoe. Perfect for any dress up occasion yet stylish enough to be worn with jeans. Featuring an expertly hand burnished 100% leather upper with a straight toe cap, brogue detail to the lace-facing panel, and our trademark navy topline and heel tab with debossed stag logo. The PU and textile lining is printed with GS stag logos and the padded sock also has the logo embossed in gold. Finished off with a durable, anti-slip TPR sole branded with our trademark details. Available in black, brown and tan. Quality of leather is fabulous and the packaging they came in was quirky!